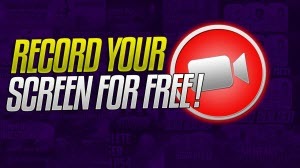 Now You'll Get a Good Free Screen Video Recorder in the List for iMac, MacBook Air, MacBook Pro, etc. "I use a Mac. What is the best free screen recorder for Mac that has no downsides (watermark, lag, etc.)? I need one to record a walkthrough about how to use Facebook for my parents. Any recommendation?" Texts and images cannot explain certain things intuitively, but videos can. So, instead of writing down a large chunk of texts or capturing a pile of pictures to depict how to perform an app or other thing, people prefer to record what's happening on the screen as a straightforward video. It saves time and is quite effective. But somewhat regrettably, quite a lot guys still wonder how to record screen on Mac/PC computer. As a matter of fact, they just lack a screen recorder. Once they get one, they will capture the screen without a hassle. Lucky for Mac users, they will come across the 3 best free screen recording software for Mac OS X in this post. WinX HD Video Converter for Mac - Screen Recorder: It is totally free to record screen on Mac. With this tool, you can record game video, iTunes DRM-protected content, movies videos online that can't be downloaded, and tutorials in HD quality, with ease. Full screen or part screen? Audio or no audio? A short recording or a long screencast? You decide everything. 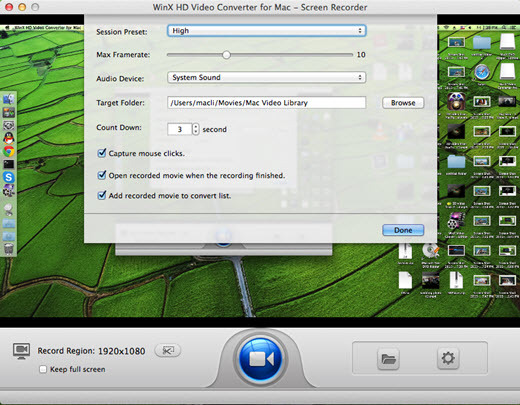 The first free screen recorder we'd like to introduce is the inbuilt screen recorder of WinX HD Video Converter for Mac. This embedded recorder is totally free to record activities (like game walkthrough and tutorials) and videos (such as iTunes DRM-protected video and non-downloadable Netflix movies/YouTube videos) on the screen with HD quality. Free as it is, it is accompanied by many options. * Customize capture area using "Crop Region" or tick "Keep full screen" to record. * Choose session preset level (High, Medium, Low) or drag the framerate slider to specify video quality. * Select the audio device to make screen video recording with audio or without audio. It is available to record the screen with our narration via microphone. * Capture screen with mouse clicks or not. Unlike some free screen recorders in the market, WinX Screen Recorder for Mac will never embed a watermark into the video. 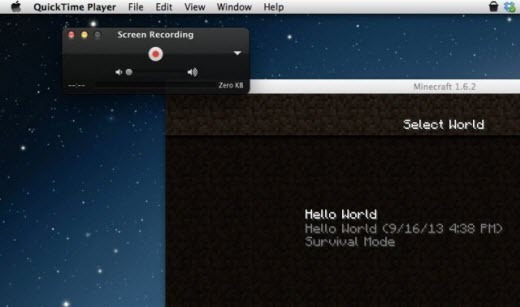 Plus, this free computer screen recorder is available to record without time limitations. Moreover, you can optionally choose to add recorded screen video to convert list automatically when recording finished, to convert recording for later uploading to YouTube or similar sites or for fully compatible with iPhone or other devices. But you should know the convert feature is not free to use. It is known to all that QuickTime Player is a default audio video player for Mac. However, very few people know that it also features screen recording which is initially available to QuickTime Player since QuickTime X (QuickTime Player v10.x). With this free screen video recorder, you can capture whatever is on your Mac screen. In contrast to WinX Screen Recorder for Mac, it isn't designed with the ability to record any video that is played on the DVD Player or purchased content from iTunes. QuickTime Player is also a free screen recorder with audio supported. Certainly you can also select None under Microphone if you don't need sound in your screen recording. Additionally, it is also available to specify a selected part of Mac screen or entire screen to capture recording. If you find your recording needs editing, here're some basic options ready for you, including trim, split and merge. But I'm afraid that the timeline is too small to add annotations. 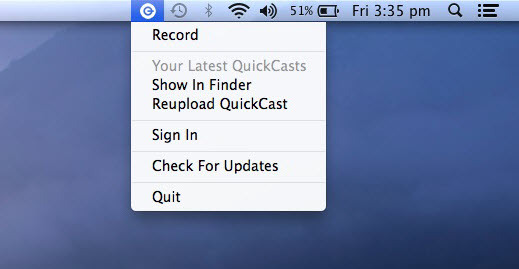 The third program selected as one of the best free screen recorders is QuickCast - a menu bar app that just sits there, ready to record what you want on the screen at one click. This tool is specially designed to record really quick and short screencasts. Two options are provided, namely, 3-minute and 5-minute recordings. That is to say, the output will be no more than 5 minutes. Anyway, it allows you to record entire screen or custom region. And both external audio and built-in camera are supported. Screen recording is available either after logging in or without signing in to Quickcast. Once finished, all of your screen video recordings will be saved locally as MP4, and uploaded online to your QuickCast account (if you've logged in this free screen recording software) for easy sharing on Facebook, Twitter and Email. To make you clear about the features about aforementioned free screen recording software for Mac, we also add a chart for your reference. Is it a screen recorder with sound supported? Is it a screen recorder with no watermark embedded? In addition to working as a free screen recorder to capture every move/video on Mac screen, WinX HD Video Converter for Mac is also a video recorder to record what's happening before the screen, a free downloader that can download SD/720P/1080P HD/4K/8K/3D videos, full movies and songs from 300+ online video sites, a HD video converter, a video editor and a photo slideshow maker. Take a few minutes to download this all-in-one program, and then enrich your digital life effortlessly!